A versatile and highly effective range of lighting giving brightness and very even light distribution. This is the product we have been waiting for using the latest LED technology to produce fantastic light. At 42mm this is one of the slimmest fittings we have seen. The Vega's base is White. 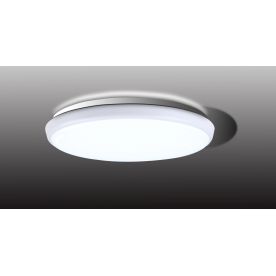 As an IP54 rated fully sealed product this flush light is suited to bathroom, kitchen, utility room, corridors, hallways and outside locations.